Group portraits include three or more people. 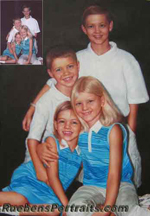 You can commission a portrait of your family, sports club or corporate team. 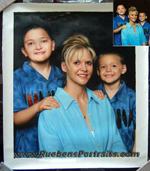 If you dont have a photo of all of the people posed together, I can do a composite portrait from several different photos  just send me the photos and Ill advise you what I can do.